This post and Paddington Bear Activities is in partnership with Warner Bros. Pictures. My kids and I are so excited for the new Paddington movie releasing into theaters on January 12th! A few weeks ago Warner Bros. sent my kids a Paddington 2 stuffie and my daughter has been in love ever since! There is something magical about Paddington. When we found out that there was going to be a new Paddington movie, my kids were super excited. We watch the first movie about once a month since it came out on DVD. It is one of the few movies that they can both agree on. We are all excited to see what new adventures Paddington and the Brown family will be on next! 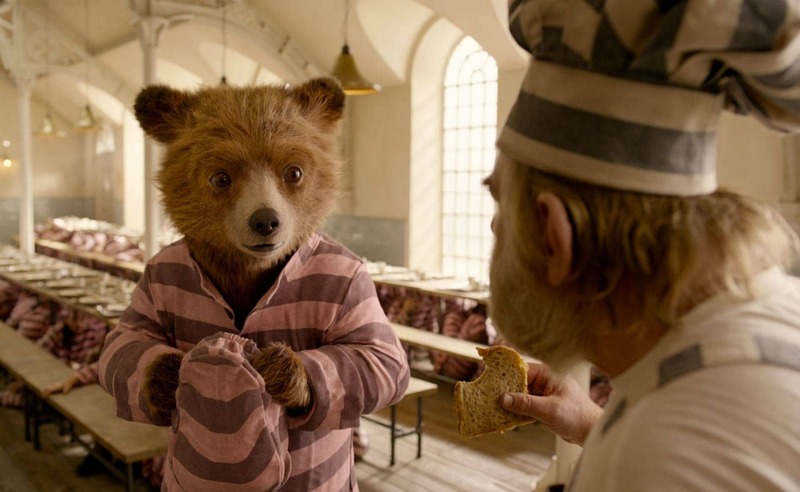 In the trailer, we see that Paddington goes to jail and turns all the inmates clothing pink! My daughter and I were giggling so hard at this. We think it is a good look and a typical reason why we love Paddington so much! We have some fun, free, printable Paddington Bear Activities to share with you! 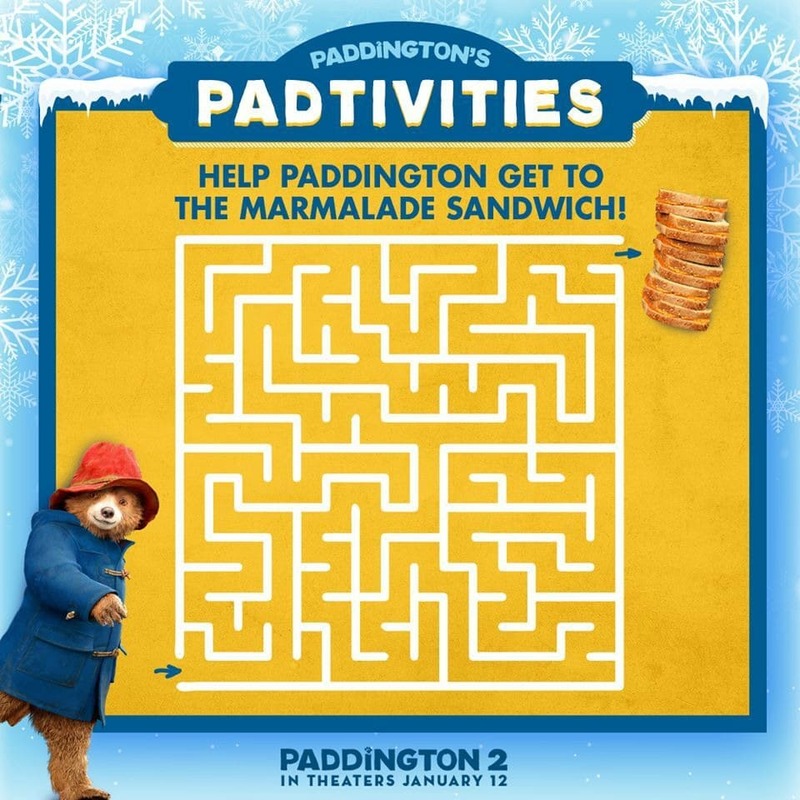 All you need to do is click below to download a maze and some fun Paddington coloring pages to do with your kids. PADDINGTON 2 is in theaters nationwide on January 12! You can follow all things Paddington on their official website and social channels. Want some more Paddington Bear fun? How about a little giveaway! 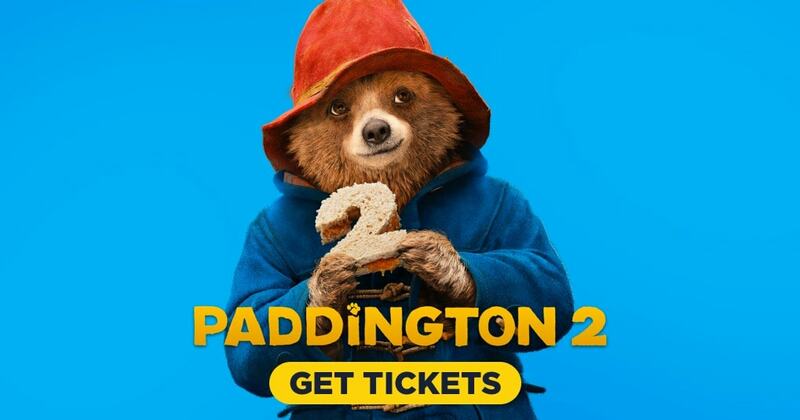 The good folks at Warner Bros. wants to give one lucky reader a Paddington 2 Movie prize package so you can see the movie with your family in the new year!